The US granted approval for a last-minute flight plan which allowed Venezuelan President Nicolas Maduro to fly over Puerto Rico on his way to China. Venezuela’s FM earlier told media an aircraft carrying Maduro was denied a path over the commonwealth. Washington told Caracas Thursday night that permission was granted even though the request had not been properly submitted, Reuters cites State Department spokeswoman Marie Harf as saying. 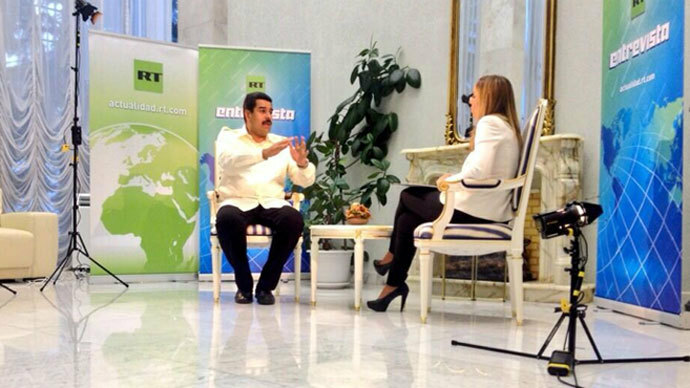 Maduro tweeted at around 10:30 pm local time (0300 GMT) Thursday that he had left Venezuela for Beijing. “We have received the information from American officials that we have been denied travel over its airspace,” Jaua said, speaking to reporters during an official meeting with his South African counterpart. “We denounce this as yet another aggression on the part of North American imperialism against the government of the Bolivarian Republic,” he added. "No one can deny airspace to a plane carrying a president on an international state visit." There is “no valid argument” for denying travel through American airspace, Jaua said, adding that he expected the US to rectify the situation. Harf said Venezuela did not follow proper steps in its flyover request, having given just one day’s notice instead of the mandatory three. "Additionally, the plane in question was not a state aircraft, which is required for a diplomatic clearance," she said in a statement. "Although the request was not properly submitted, US authorities worked with Venezuelan officials at the Venezuelan Embassy to resolve the issue. US authorities made an extraordinary effort to work with relevant authorities to grant overflight approval in a matter of hours," Harf said. President Maduro is due to arrive in Beijing this weekend for bilateral talks with the Chinese government. Jaua was adamant that the Venezuelan leader would reach his destination, regardless of any perceived interference. The incident is the latest diplomatic spat to take place between the United States and Venezuela, who have clashed regularly since Maduro took office in April. In July, the Venezuelan president announced that his government was halting attempts to improve relations with the US. The move was in response to comments made by the newly appointed US Ambassador to the UN, Samantha Power, who told a Senate committee that her new role would include challenging the “crackdown on civil society” abroad, including in Venezuela. Relations under former President Chavez had been acrimonious, as he had long held suspicions that the US had actively intervened on behalf of an attempted coup in 2002. Since his election in April, President Maduro has often made pointed criticisms at alleged US interference in Venezuelan affairs. Bolivian President Evo Morales, whose own plane was grounded this summer allegedly due to suspicions by US authorities that the aircraft was transporting whistleblower Edward Snowden, said that ALBA bloc nations should consider a boycott of the upcoming UN General Assembly in New York as a response. 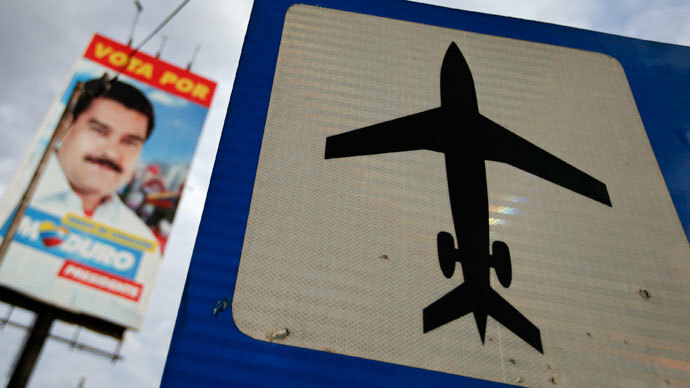 "We cannot accept that the US carries on with politics of intimidation and the prohibition of flights by presidents," said Morales, adding that the latest incident "demonstrates the country's predisposition to humiliate other governments" and commit crimes against other nations. The Venezuelan President also spoke of attempts by the US to set “conditions” on a visa issued to General Wilmer Barrientos, one of Maduro’s ministers who is slated to attend meetings during the UN General Assembly next week. "They want to put conditions, if we decide to go to New York...They don't want to give a visa to my minister," said Maduro. "Do we want to go as tourists? We're going to the United Nations. 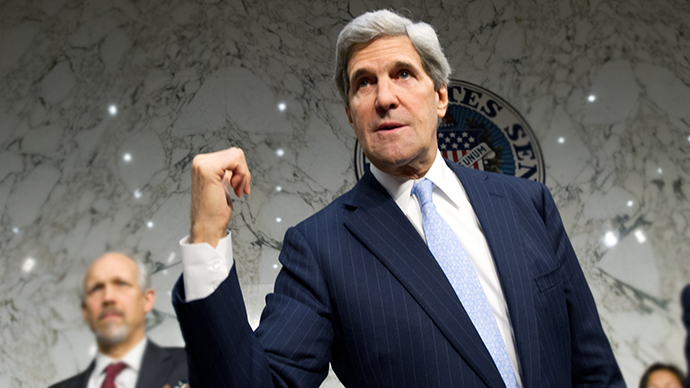 You're obligated to give visas to all the delegation." 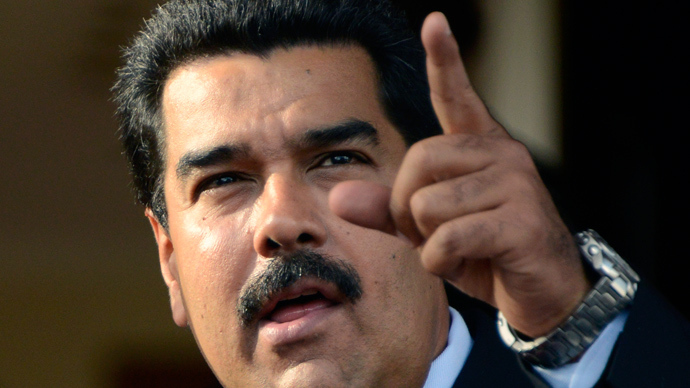 Appearing via the television network TeleSUR on Thursday, Maduro indicated that he had directed his foreign minister, Elías Jaua, and Venezuela’s Ambassador to the UN, Samuel Moncada, to “activate all mechanisms” in reference to the visa dispute. “US, you are not the UN’s owner. 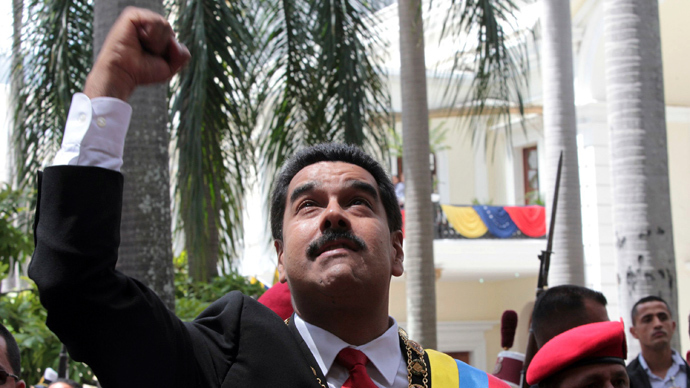 The UN will have to move out of New York,” remarked Maduro. He warned that if he has to take “measures” against the government of the US, he would be prepared to take “the most drastic measures necessary” to ensure Venezuelan sovereignty.